This post (part one of three) was inspired by a recent chat on Twitter between two good friends and fellow Arashians. One asked the all important question: Which album is your favourite and why? The other made a list of her favourite songs from each album BUT with a nice little catch: only two songs from each album and one solo (where applicable). I'm going to try and do this list too but with a slight change. I will choose only two songs, one single and one solo (where applicable). 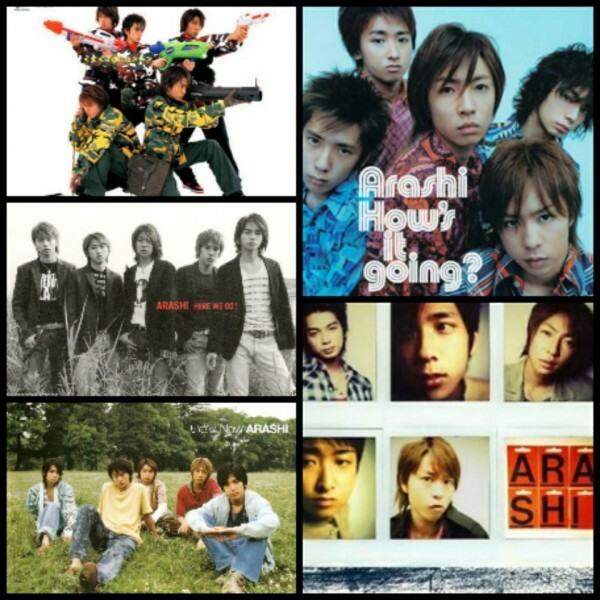 With fifteen studio albums under their belt, there's a lot to choose from in the Arashi discography to date. My first album was The Digitalian and from there I heard Love, Popcorn, Iza Now, How's It Going, Beautiful World and so on. Each new album they release is different and showcases a whole new facet of Arashi's talent. To pick a favourite album out of fifteen would be nigh on impossible but I will admit that I do have two soft spots: The Digitalian (because it was my first Arashi album) and Boku no Miteiru Fuutei. Sakura Sake was the only single on this album but it isn't a favourite of mine (I only like it when they perform it live). I guess I've just grown bored with it (sorry everyone! *blushes*)........! **Those who know me well by now, know that one of my all-time favourite Arashi songs is All or Nothing. It is MY JAM! I can't praise it enough, it has so many elements to it that I love. Sakurai Sho's rap, the overlapping vocals in the chorus, and the choreo in the live performances I've seen (over and over) are SAIKOU! Oh, and did I mention the Sakurap? *** Those who follow me on Twitter may or may not have read the line "Crazy ground no osama ni nareru" in my bio and that's because it's another all-time favourite song. No matter what mood I'm in, if I hear that song come on my iPod I go crazy (even in public). I can't sit still. Again the Sakurap is precious and Ohno's vocal in the verses is perfection.